The Skin Clinic is handily located in Llandarcy, just next to Jct 43 on the M4. The Clinic is easliy accessible from Swansea, Neath and Port Talbot. Skin Clinic - Experts in Facial Aesthetics.  The Skin Clinic offers a variety of treatments including micro needling, lip fillers, cheek fillers, dermal fillers, tear trough, jawline sculpting and anti-wrinkle. The Clinic's ethos is to provide the best service possible with client safety and satisfaction a priority. Microneedling is a skin rejuvenation procedure that regenerates skin by stimulating the production of new collagen and elastin. The entire process takes about 20-30 minutes and the result is smoother, firmer, more even-looking skin. Micro needling uses tiny needles to create micro-channels in the skin. At the tip of the Skinpen is a disposable one use cartridge containing 10 tiny needles, that vibrates up to 8000 times per minute. This creates thousands of tiny punctures holes in the skin. In response to these micro-injuries, the body initiates a wound healing process that naturally remodels collagen and elastin.